When shopping around for a live vocal microphone, I had never really considered trying out a condenser mic, as the vast majority of vocal mics out there are dynamics. While I have used plenty of great sounding dynamic mics, I always thought it would be great to find a live vocal mic that could combine the sensitivity, clarity and extended frequency response of a large diaphragm condenser microphone with the feedback and sound rejection of a dynamic. After years of using the standard Shure SM58 and similar dynamics, I was curious to see how a condenser microphone would perform in real world live singing environment. At my bands next show, instead of using the SM58, I decided to take the Rode M2 for a spin in the hopes that it would give me some of those studio condenser qualities I described above. During soundcheck, I noticed the soundman actually had to turn to me down as the Rode was noticeably more sensitive than the Shure it had replaced. Since the M2 sounded great during the soundcheck, I was confident that it would be a worthy choice during the show. Throughout the performance, my voice had a lot more midrange cut which allowed my singing to be even more expressive as I could hear much more nuance and detail in my vocals than ever before. 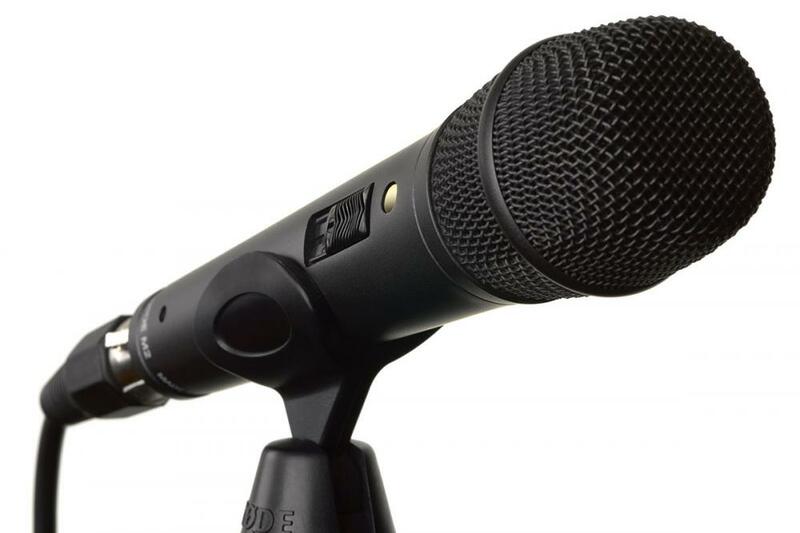 The Rode enhanced sensitivity meant that I did not need to get as close to it as I would a standard dynamic, which allowed me to ride the mic more than usual and effortlessly jump between breathy whispers to full-on screams without the volume level changing too drastically. Having never used a condenser live vocal mic before, I was a little worried that there would be some distortion if I belted too loudly into the mic, but the Rode was able to handle everything I did without distorting or sacrificing clarity. I don't know if it was the Rode M2 specifically, or rather the confidence I felt while using it, but I received more compliments on my singing after the show than I ever have before. I was surprised that the soundman came up to me after the show to find out which mic I was using. While I wouldn't say that condensers are necessarily superior to dynamics when it comes to live vocal mics, I can honestly say that I love the sound of the Rode M2 and it far exceeded my expectation of bringing the sound of a quality condenser studio mic to the live stage. 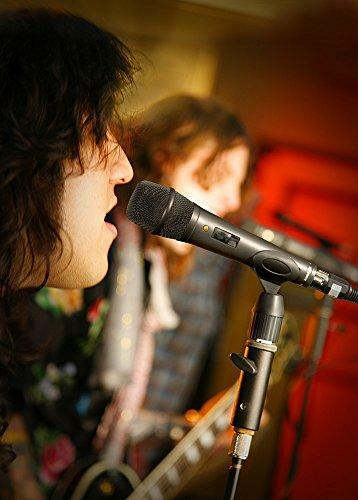 If you are thinking about buying a condenser mic for live vocals, there are a few things that you will need to consider. 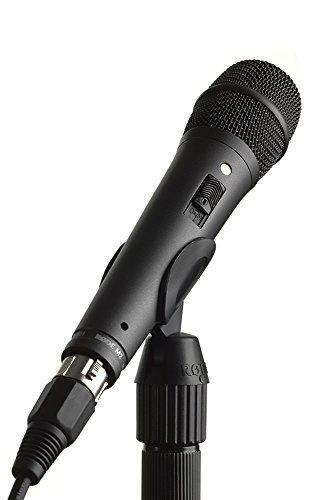 Condenser mics do require the use of 48v phantom power, so if your PA or mixer does not have it onboard, you will have to buy an external adapter which will run you an additional $20 - $50 depending on which model you buy and how many features it has. 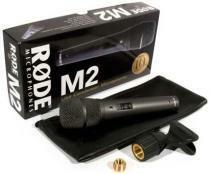 The other important thing you will need to know is that even though Rode has an exceptional reputation for building extremely durable mics, condensers are a little more fragile than most dynamics, so you will want to take some extra care when storing and transporting this model. Additionally, the diaphragms are susceptible to moisture so you will want to keep the mic sealed in its case with its own moisture absorbent desiccant pack whenever you are not using it. 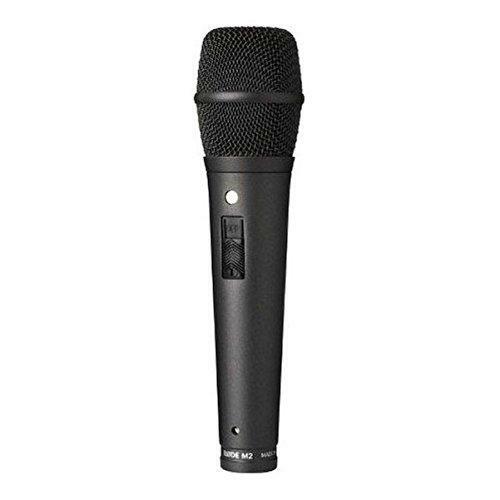 One feature the M2 has, which many vocals mics are missing, is the on-off switch, which comes in handy in situations where uncontrolled feedback is encountered, such as when someone turns the wrong knob and mistakenly cranks the PA.
Order directly from The Vocal Gear Store NOW!